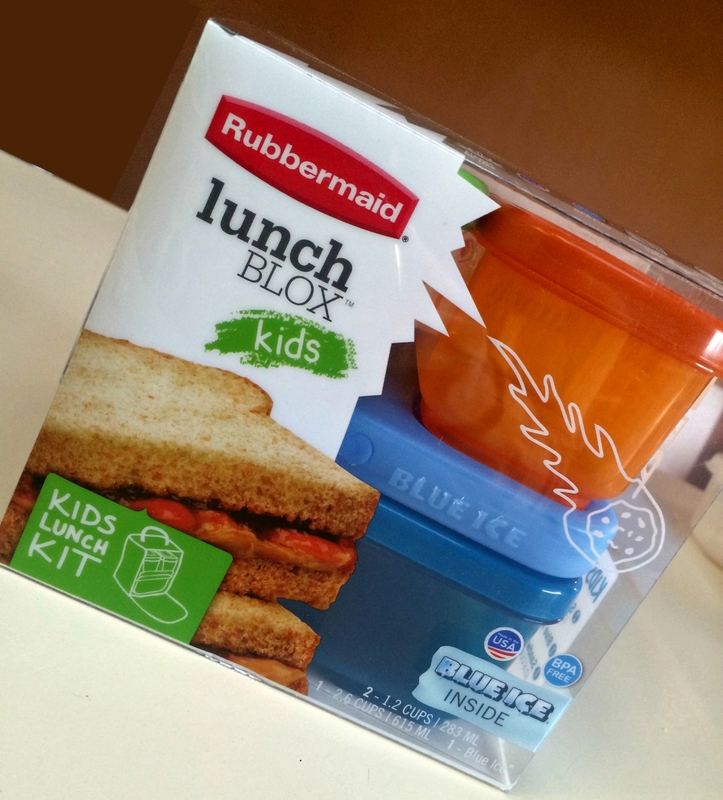 Ok, so the making lunch part isn’t that bad, especially with these awesome Rubbermaid LunchBlox®! 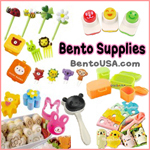 All components are BPA free! Seriously, I haven’t yet found anything I don’t like about these! The kids love them too which is great. To celebrate the kids aqua adventure summer camp today – and to appease the biggest kids request to have octo-dogs, I’ve made an aqua themed lunch. 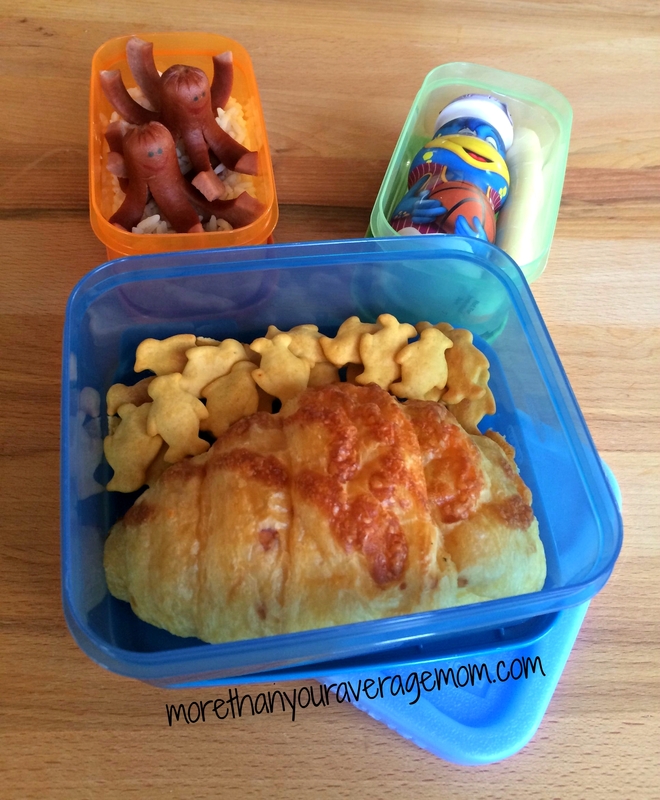 The main Rubbermaid Lunchblox® compartment contains a cheese croissant and penguin crackers, which the smallest kid claims are penguins climbing up cheese mountain! A snack container containing a yogurt drink and cheese string, and another snack container containing rice and the famed octo-dogs! Easily follow Canada’s Food Guide – Fruits and veggies in one snack container, Milk and Alternatives in the other snack container, and Grains and meats/alternatives in the large compartment. Easily pack for your child’s day – Morning snack in one small container, Afternoon snack in the other small container, and lunch in the large container.